Were Hedge Funds Right About Piling Into Republic Services, Inc. (RSG)? Is Republic Services, Inc. (NYSE:RSG) the right investment to pursue these days? The best stock pickers are getting more optimistic. The number of bullish hedge fund positions went up by 4 recently. Our calculations also showed that RSG isn’t among the 30 most popular stocks among hedge funds. RSG was in 30 hedge funds’ portfolios at the end of the fourth quarter of 2018. 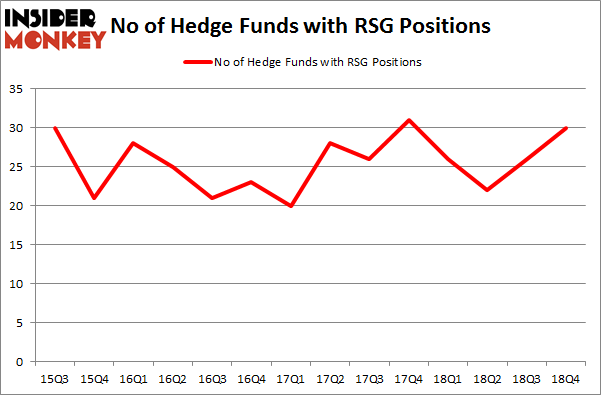 There were 26 hedge funds in our database with RSG holdings at the end of the previous quarter. We’re going to view the recent hedge fund action encompassing Republic Services, Inc. (NYSE:RSG). 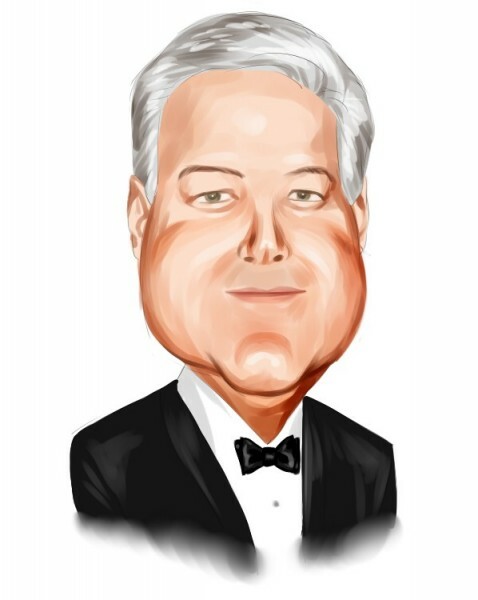 What have hedge funds been doing with Republic Services, Inc. (NYSE:RSG)? At Q4’s end, a total of 30 of the hedge funds tracked by Insider Monkey were bullish on this stock, a change of 15% from the previous quarter. By comparison, 26 hedge funds held shares or bullish call options in RSG a year ago. With hedgies’ sentiment swirling, there exists a select group of notable hedge fund managers who were boosting their holdings considerably (or already accumulated large positions). Among these funds, AQR Capital Management held the most valuable stake in Republic Services, Inc. (NYSE:RSG), which was worth $149.6 million at the end of the third quarter. On the second spot was GAMCO Investors which amassed $134.4 million worth of shares. Moreover, Chilton Investment Company, Two Sigma Advisors, and Renaissance Technologies were also bullish on Republic Services, Inc. (NYSE:RSG), allocating a large percentage of their portfolios to this stock. Consequently, key hedge funds were breaking ground themselves. Point72 Asset Management, managed by Steve Cohen, assembled the largest position in Republic Services, Inc. (NYSE:RSG). Point72 Asset Management had $51.7 million invested in the company at the end of the quarter. Andrew Sandler’s Sandler Capital Management also made a $20.9 million investment in the stock during the quarter. The other funds with brand new RSG positions are Alexander Mitchell’s Scopus Asset Management, and Ken Griffin’s Citadel Investment Group. Let’s now take a look at hedge fund activity in other stocks – not necessarily in the same industry as Republic Services, Inc. (NYSE:RSG) but similarly valued. These stocks are Paychex, Inc. (NASDAQ:PAYX), Halliburton Company (NYSE:HAL), General Mills, Inc. (NYSE:GIS), and Square, Inc. (NYSE:SQ). This group of stocks’ market valuations are closest to RSG’s market valuation. As you can see these stocks had an average of 34 hedge funds with bullish positions and the average amount invested in these stocks was $688 million. That figure was $692 million in RSG’s case. General Mills, Inc. (NYSE:GIS) is the most popular stock in this table. On the other hand Paychex, Inc. (NASDAQ:PAYX) is the least popular one with only 30 bullish hedge fund positions. Compared to these stocks Republic Services, Inc. (NYSE:RSG) is even less popular than PAYX. Our calculations showed that top 15 most popular stocks among hedge funds returned 19.7% through March 15th and outperformed the S&P 500 ETF (SPY) by 6.6 percentage points. Unfortunately RSG wasn’t in this group. New hedge funds that bet on RSG were disappointed as the stock returned 9.1% and underperformed the market. If you are interested in investing in large cap stocks, you should check out the top 15 hedge fund stocks as 13 of these outperformed the market.